It’s reasonable to wonder if there is a position on Whitehouse’s communications team dedicated to telling perplexed reporters that the boss’s mouth and his money really do belong to the same person. To be fair, if the so-called “Bailey’s Beach Club” really did have a monochromatic membership list as late as 2017, it may not have been because there were outright racists deliberately keeping it that way, and GoLocal didn’t say that was the case. But still . . . there is the image of a bombastic left-wing white male named “Whitehouse” trying to represent a left-of-center state while holding a stake in a ritzy beach club fully-stocked with only rich white people. It’s the sort of optics that make life too easy for late-night TV comics and political campaign opponents. 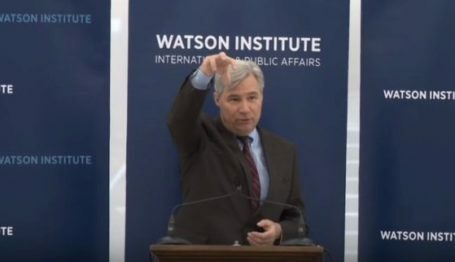 GoLocalProv posted a current membership list from the club showing Mrs. Sheldon Whitehouse holding 25 ownership shares in an establishment where “some of the wealthiest and most influential” Americans own just five or ten shares. The Whitehouses weren’t just still members at the highly exclusive, all-white club, they were big deal members. After Whitehouse and his staff repeatedly refused requests for comment, the news editor at GoLocalProv hunted down the lawmaker, pointed a video camera at him as he headed into an event, and began peppering him with questions. The clearly irritated senator was asked why he remains a member of the club after reportedly stepping down in 2006. “I don’t recall when we consolidated that membership,” he replied, alluding to the transfer of shares to his wife. Then, after quickly dodging a couple of questions about whether he would promote more inclusive membership at the club, he ended the interview. The U.S. Senate is sometimes referred to as the “world’s most exclusive club,” and is certainly more so than even Whitehouse’s uber-privileged beach club. A Democrat such as Bernie Sanders uses membership in the Senate “club” as a prestigious tool to advance his progressive ideology. Conversely, it is easiest to explain Whitehouse by running the motivation backwards, assuming ideology is a tool for attaining and enhancing privilege. For a U.S. 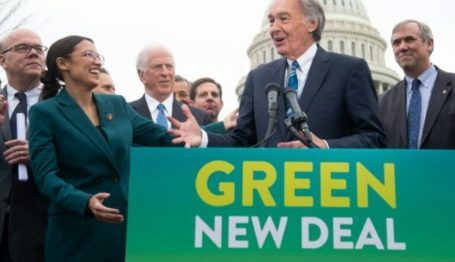 Senator from a deep-blue Democratic state, radical environmentalism, attacks on free enterprise and tirades against the energy industry are all tools that enhance standing and power. Whitehouse is now a member of both the Judiciary and Finance committees, two of the chamber’s most influential. As with the more-shares-than-most place on the Bailey’s Beach Club membership roll, his seat in the “world’s most exclusive club” isn’t on the back bench. The true test of character, according to a quote widely attributed to former UCLA basketball coach John Wooden, is what you do when you’re not being watched. Stating he was leaving the all-white beach club was Whitehouse’s loud way of cleaning up his progressive résumé while everyone was watching his bid for another exclusive club—the Senate. But then quietly transferring the beach club membership to his wife allows him to keep both benefits, minus any sacrifice for the cause. Score one for Whitehouse, and zero for easily-mollified progressives. 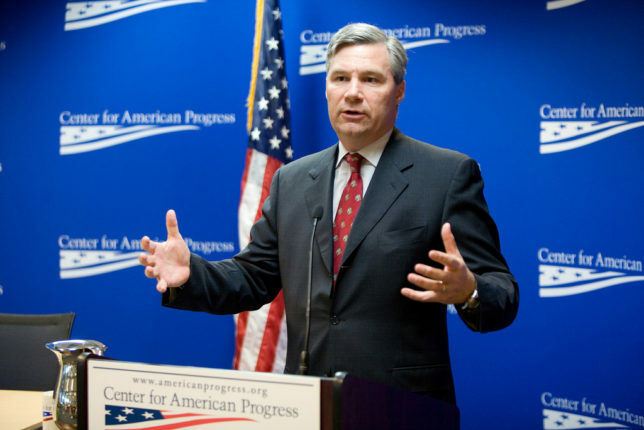 Likewise, while reportedly holding six-figure stock investments in the fossil fuel industry, he could send out a news release in 2008 loudly proclaiming his perfect score on the League of Conservation Voters’ National Environmental Scorecard. His votes when they were watching said everything environmentalists wanted to hear, but his wallet in the shadows was invested in precisely what they loathe. Once again, Whitehouse was the winner both ways. Similarly, from the conveniently-timed stock trades to selective application of his “dark money” attacks, each demonstrates why it’s misleading to draw a simple profile of Whitehouse as a bombastic progressive in a powerful position. He’s not just a wealthier Bernie Sanders with more influential committee assignments. If Whitehouse is 100 percent committed to any cause, then it’s the one he sees in the bathroom mirror. Is there a limit to what he’ll do when he has already demonstrated an eagerness to use the Senate and even the FBI to harass a list of enemies when federal harassment benefits this favorite cause? 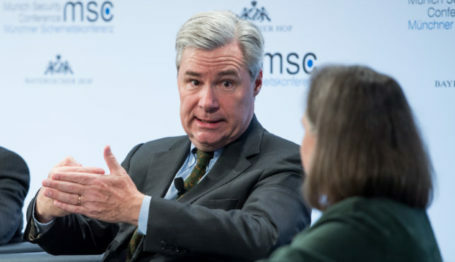 At age 63, and with reportedly no desire to run for President, it’s reasonable to presume Whitehouse is aiming to stay in the Senate, growing his influence for many more years. Getting between him and his appetites, already a precarious risk, will become increasingly dangerous. His enemies should watch their backs.